The Guild AGM was held at the Coast Guard Centre, Tauranga, Friday 28 September. Turn- out was similar to previous years with 44 members in attendance. The majority of these were share fishers from the inshore vessels based out of Tauranga and Auckland. We were pleased to have Delegates attending, representing the four Sealord deep-water vessels, based in Nelson – Rehua, Thomas Harrison, Aukaha and Ocean Dawn. The annual Guild Executive meeting took place on the afternoon of Thursday, September 27, in the Sanford Tauranga boardroom. Ed Pridham was welcomed as the new Guild President, replacing Sean McCann retiring. Guild Executive members and partners attended the annual Executive dinner in Mount Manganui, along with the four Sealord Delegates. The Guild Treasurer, David Snow provided the financial highlights from the Guild’s audited accounts. The Guild’s finances are in good health, with the year to March 31, 2018, showing income of $327,443 with an after tax surplus of $76,462. Income the previous year was $285,785. The increase in Guild income is due mainly to an increase in membership, primarily from the Sanford deep-water boats. Ian Mathieson has been the Executive Secretary of the Fishing Guild since December, 2014. His focus has been to build a stable and growing membership of the Guild. To negotiate meaningful earnings increases for members, to develop a strong and collaborative working relationship with Sanford and Sealord and to ensure sound financial management of the Guild. To view Ian’s presentation to the Guild AGM please click on the link below. This year we were fortunate to have Colin Williams, General Manager Fishing at Sanford, address our members. Colin talked about recent events effecting our industry such as the TAR quota cuts and the 22% voluntary industry cut in the West Coast Hoki fishery. He discussed how the America’s cup development will impact on Sanford’s fleet moored at the Auckland Viaduct basin, the November opening of Sanford’s new retail Fish market and answered a range of questions fielded by members attending the AGM. 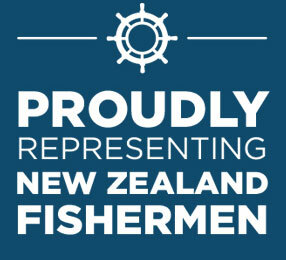 Sean has been President of the New Zealand Fishing Industry Guild since 1986, a period of 32 years. Sean was instrumental in setting up the Guild and has provided a guiding hand to the Guild Executive and to the Guild Executive Secretary down through the years. Without Sean’s insight and contribution our members would not have the same conditions of employment they benefit from today. With this legacy there was much to celebrate. A fitting farewell was organised at the Amphora Bar & Restaurant in Tauranga attended by around 85 of Sean’s colleagues, friends and family. There was a formal part to the evening, with speeches, a never ending supply of delicious finger food and a booze bill that was well over the budget provided. An excellent time was had by all who attended.